It is indeed amazing news that Disney has now planned to release a new book featuring the honey-loving cuddly bear Winnie as a sequel to the first Pooh book by A. A. Milne. The book will hit the shelves very soon and is set to grab the attention of lovers of Pooh. Other companions of the bear, namely Eeyore, Piglet and Christopher Robin have been portrayed excellently. The author of the new book “Return to the Hundred Acre Wood”, David Benedictus has done enough justice to the original classic storyline. Inspired by Pooh bear’s popularity, publishers have approved for the book to be translated and published into around 50-languages. The extent to which the silly old bear has influenced and attracted people across the world is obvious. 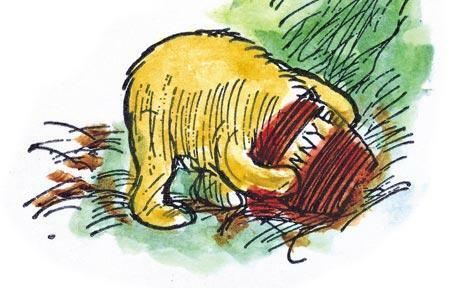 Throughout his outings, Winnie has won million hearts for being a cuddly, emotional and rarely witty bear. The authors and publishers of the book have worked for twenty long years to make an effort to bring out the best sequel ever. Frequent visits to the original settings of the first book, thorough reading and examination of Milne’s book have been a great guide to Benedictus who has been successful in bringing hopefully crafting a great book with Winnie. David Riley, director of Egmont Publishing, said: "Return to the Hundred Acre Wood is set to be a huge hit this year with children and parents alike. We are delighted to be publishing the sequel to a wonderful children’s classic, making new Winnie-the-Pooh stories available to current and future generations around the world".